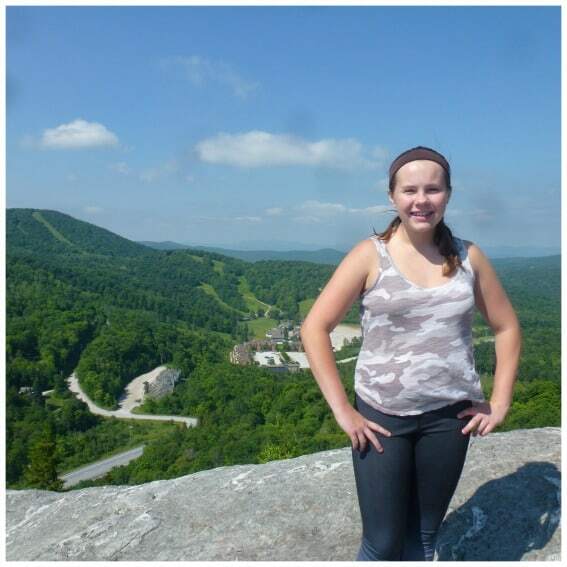 Our family has enjoyed vacations annually in the Green Mountain State of Vermont for the past few years. On each visit, we have been struck by the raw natural beauty of the area, as well as the friendly citizens and unbelievably fresh food. For this year’s trek into Vermont we decided to try a new approach for appreciating the state, its people, and the beautiful handiwork of nature. 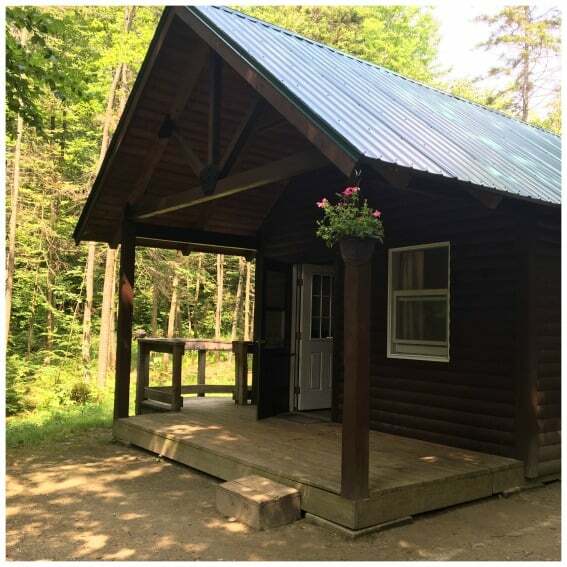 We ensconced ourselves in a rustic cabin at Gifford Woods State Park near Killington for a few days of bourgeois camping (read: no tent) and set out to explore parts of Vermont we hadn’t considered before. 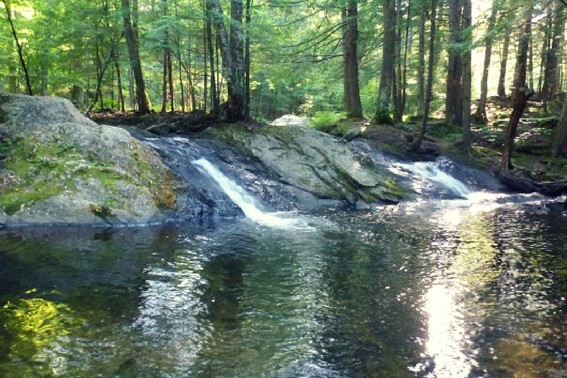 As the state park is situated nearby the famous Long Trail, we were able to hike parts of the that trail as well and discover the burgeoning art scene in the area. Who knew there was so much opportunity to expose the family to art in Vermont in this region? 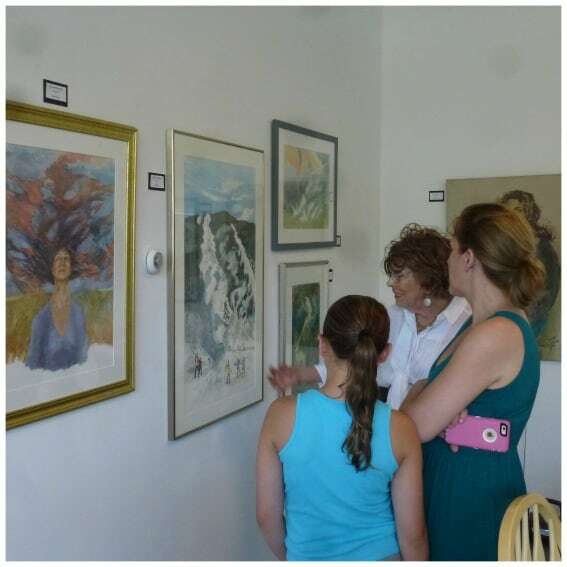 Right outside of Gifford State Park lies the Killington Arts Guild where local artists share their work, offer workshops, and meet with interested aficionados in a well-lit, albeit hidden spot, above a sundries shop. We were lucky to meet with local Vermont artist Alice Sciore as she shared her life story of coming of age as an artist in New York City and Europe, ultimately settling in Vermont after falling in love with skiing! Her gorgeous self-portrait hung amongst her many other works as we examined the various types of art created by other artists. 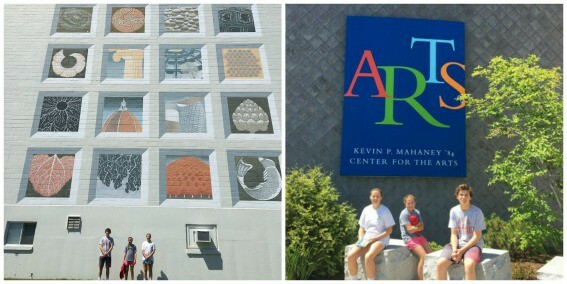 We were able to combine a college tour for our teens while we searched for areas to find art in Vermont. Our search for art brought us to the campus of Middlebury College where the Mahaney Center for the Arts is located on campus. It houses a large collection of historic art spanning centuries from artists around the globe. The strong art history department at the college allows students to use specific pieces of art to delve into their histories and provenance. 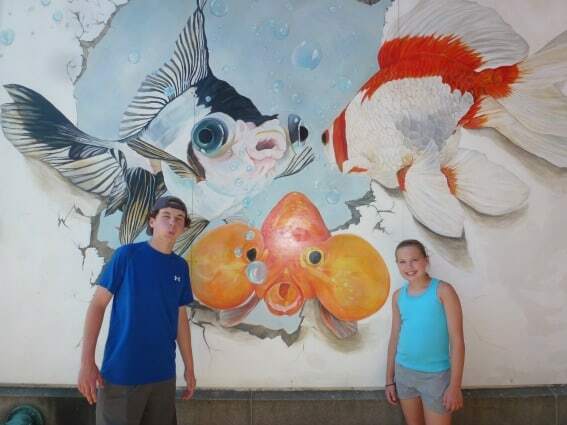 The hot temps did not stop us from scouting out public sculptures and murals located all around the campus. Famous works are displayed and maintained in an effort to allow as many people the opportunity to appreciate the art. We also learned to be quiet as language immersion camps were in full swing all around campus and we were speaking plain old English. Nearby Rutland is the largest city in this part of Vermont. The arts vibe in Rutland is anchored by the Chafee Arts Center located in a grand Victorian on the outskirts of the center of town. The current exhibit, In Flanders Fields by Fran Bull pays homage to the poem of the same name depicting in various media the feelings of war. We immediately made the connection to the poem and then the kids joined in on a ‘kid’ art class taught by a local resident. While they did not finish their work on location, I can tell you they were inspired to do so when we returned home! 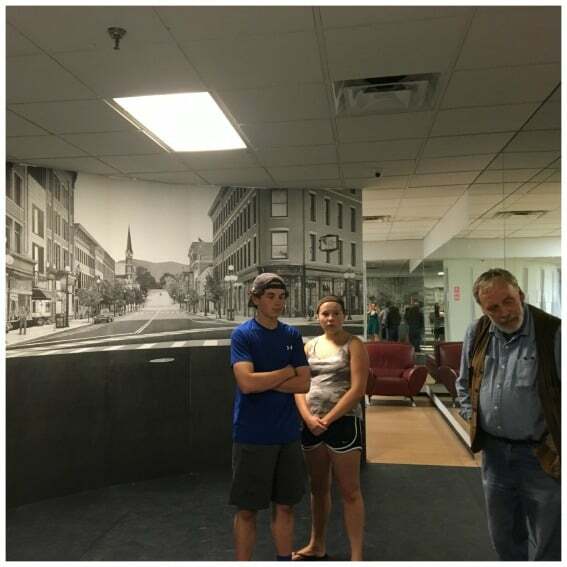 Other works of art are on display in the center of Rutland through cooperation with Castleton University. We took part in a tour through the university and found several galleries filled with interesting pieces of local Vermont artists and their work. However the piece de resistance was that our humble tour guide was actually the most fabulous of all the artists we saw during our trek. Bill Rammage graciously showed us the galleries, the fantastic public murals, and then quietly led us to his own installment at the university. Pictures can never do justice to his flawlessly detailed and intricate pencil drawings. His explanation of his self-portrait and his extraordinarily large pencil depiction of the center of Rutland joined art, perspective, the science of the brain and vision, and the supernatural together in a way we never imagined. We were honestly blown away by his talent and intelligence. I was so glad our children got to experience art from his perspective. Visitors of Rutland may experience most of these artistic efforts for free. In addition, the Paramount Theater (the local, dynamic and recently revived theater) brings in headliners just perfect for kids including the likes of the Nutcracker, Momix, or Jungle Jack Hanna, but also offers up free screenings of big-time sports events to give everyone a chance to enjoy the theater. We were impressed that so many residents of the town were truly involved in bringing a vibrant arts feeling to the town and left excited about seeing other cities in this way. In nearby West Rutland, sculpture is the name of the game. The West Rutland Art Park provides a unique way of viewing large sculpture works. A drive up the park road brings visitors past sculpture after sculpture displayed outside to be viewed by either walking or driving by. We were excited to see each new piece and then take them all in from the top of the hill before making our way back down. This experience readied us for the Carving Studio and Sculpture Center. 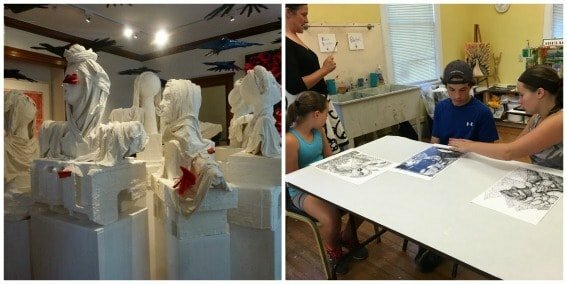 Situated on an old marble quarry the sculpture center now provides an opportunity for sculptors to bring to life their artistic visions whether as marble sculpture or in other mediums. We walked the grounds and marveled at the quality of work displayed as well as visited the quarry where the marble was originally mined. Sculptors both young and old are on hand practicing their craft and are very willing to answer questions or explain their technique. This Arts Trail was a great complement to the usual hiking trails we are so accustomed to while in Vermont. 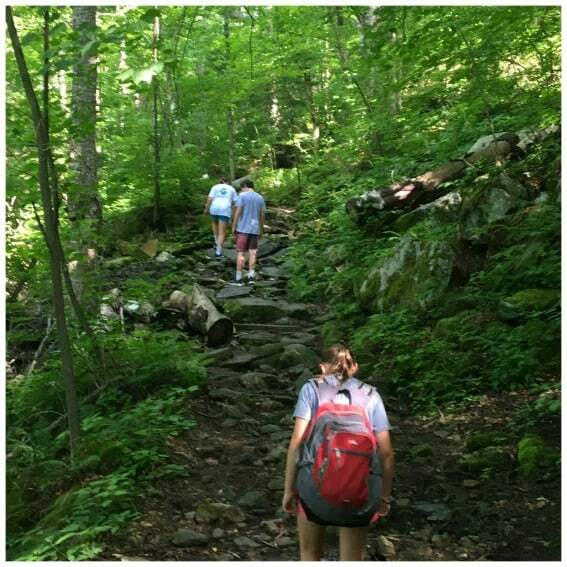 The Long Trail runs the length of Vermont and coincides with the equally famous Appalachian Trail for about 100 miles. We completed three hikes directly on this trail or as offshoots of the trail. Each hike we finished brought us a differing view or outcome. A walk through the White Rocks Recreation area brought us to what I was calling a rock cemetery. Many of the white rocks in the areas were piled into rock cairns by previous hikers to give an otherworldly effect to the plateau. Just beyond the cairns is a magnificent outlook where views of the valley below seemed to go on forever. The Deer Leap Trail is a short hike accessible from Gifford Woods but also intersects with the aforementioned trails. Again, we were awarded fantastic views after we reached the outcropped overlook early in the morning before the heat of the day set in. We were lucky to run into a couple of through hikers that were hiking the Appalachian trail. This older couple had begun hiking during the month of April after leaving their starting point in Georgia and were hoping to end in Maine before Fall. 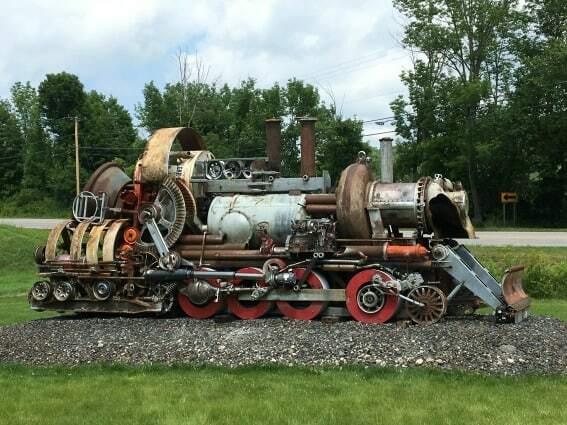 They too were taking a few days to explore the Killington region. We made sure to tell them about our own adventures. As a torrential thunderstorm was looming, we completed our last hike to Thunderbrook Falls to give everyone in our family the dose of adventure they need during any trip. After confusion about where to start the hike on the dusty back country roads of rural Vermont we found the beginning of the trail. Had we just stayed on it we would have eventually found the falls, but we had to do it the long way. Suffice it to say that the kids put on their bathing suits and had fun in the falls and swimming hole. As we walked back to the car they talked about their aspirations to complete the Long Trail or even the entire Appalachian Trail with me someday in the future. Taking the time to explore the surrounding towns off the trail, to hunt down opportunities to share local art, and meet friendly people, I’d say it was a successful adventure! All photos by John and Michelle Brennan. Disclosure: The author was hosted by Vermont Arts Council for lodging and theater tickets. All opinions are her own.